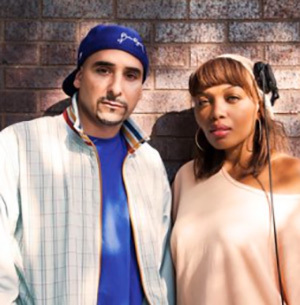 Jake Palumbo had a chance to sit down with husband-wife DJ/Emcee/Producer team – as well as his Gravesend, Brooklyn neighbors, come to find out – M-Tri & Leecy-T, for their Beats, Treat & Eats show on LittleWaterRadio.com. The Hip-Hop and Health-Centric show goes in depth on numerous topics from how Jake got his name, to the transitions of moving to NYC, to being electrocuted (we’re unfortunately not joking), to his Moonshine Burrito project with Ciphurphace, & for the “Treats” segment we have Palumbo’s legendary YouTube recipe for “Hood Sangria”. M-Tri and Leecy-T drop three really dope mix segments on the ones & twos, & even play an exclusive or two from the guest.